tony isabella – I need new hobbies. As I’m sure some of you have noticed, I have a list of the the current comics I’m buying in my sidebar. It only tells part of the story, though, because it doesn’t include mini-series, one-shots or standalone graphic novels, all of which do play a role in my comics buying and reading. Here’s a few of the books along those lines that I’ve been reading of late, all from DC, interestingly (though this is in no way reflective of my overall buying habits, particularly where mainstream DC books are concerned; I really don’t go near most of those, though I do read Batwoman because my partner picks it up). DC’s been doing some extraordinary things with their Hanna-Barbera properties in recent years, dating back as far as the first Ariel Olivetti Space Ghost series they did, but they’ve put a concerted effort into making a great line of books out of them for about the past 2 years. 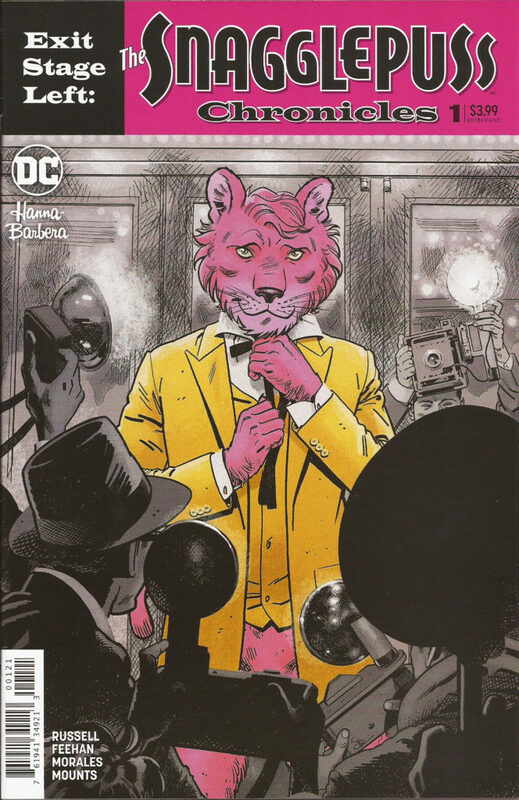 Mark Russell (who writes the Flintstones book that I’m sadly pretty behind on) is a big part of that, and his latest is the long-anticipated “Exit Stage Left: The Snagglepuss Chronicles”. While the first issue is a very dark book (I’ll tell you very little about it beyond that, but it is grim), it begins a brilliant re-examination of the character, and continues on Russell’s path of poignant, biting societal criticism. Highest recommendation. 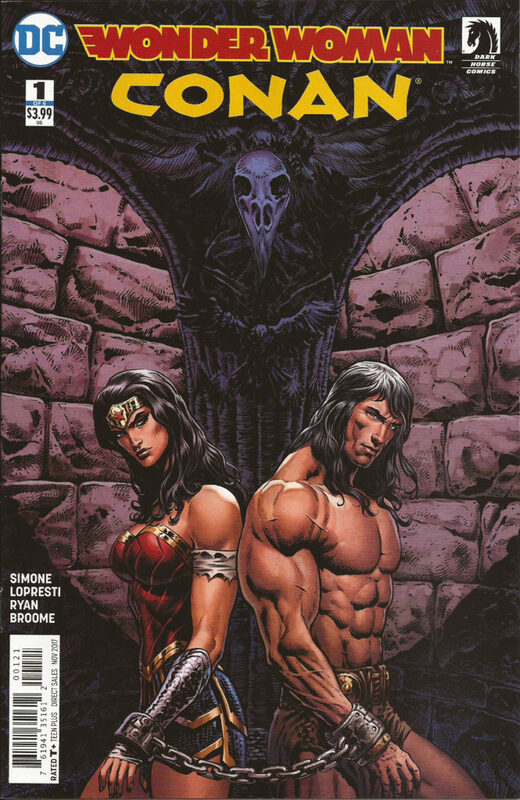 I’m really glad this one made the schedule before Marvel got the rights to Conan again. 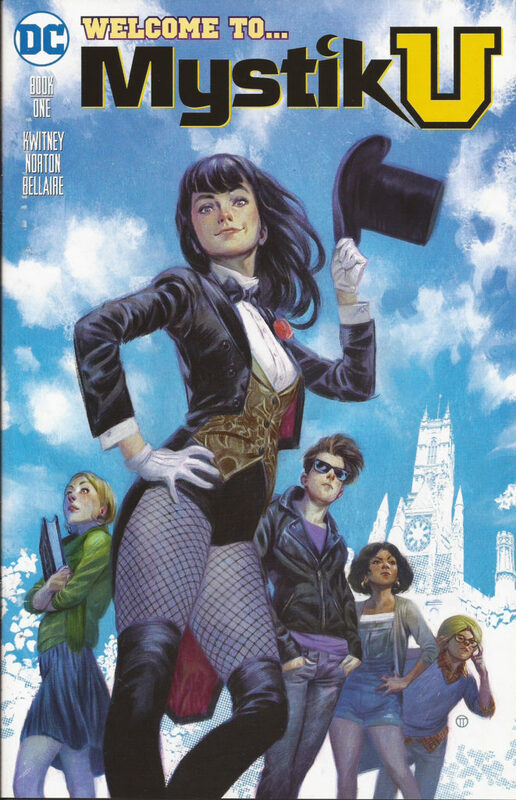 Gail Simone, who is a national treasure, it should be said, tells a terrific story here that’s faithful to both characters, and Aaron Lopresti’s art is gorgeous. They’re an issue from finishing (#5 came out on Wednesday), but if you’re a non-digital reader and have trouble finding single issues, or just prefer the collected format, the trade should be out soon enough. I’ve been reading Black Lightning (and, by proxy, his co-creator Tony Isabella) since perhaps the beginning, having bought at least one issue in first run at a very young age. (I’m on like my 3rd copy of Vol. 1 #1, and I *might* have gotten my first when it hit 7-Eleven in the ’70s.) This is a somewhat New 52-ish attempt to place Jefferson Pierce (who was very much a product of the 1970s, and has aged through other books in his fictional history) in modern continuity as a younger hero, with the issues of the modern world around him. That description makes it sound less appealing than it actually is, admittedly, and if you’re a long-time fan, don’t let it scare you off. 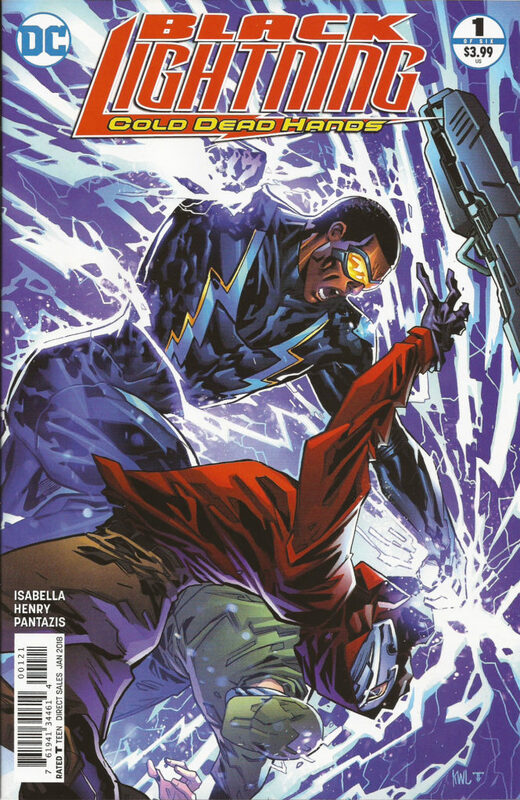 I’m enjoying this, because Tony Isabella continues to write Black Lightning stories with a lot of heart, and you never feel, as you’re reading, that the character you’re reading is anything but Black Lightning (a problem that a lot of reboots, even sometimes ones by original creators, have). The stories are still being told in Jefferson Pierce’s voice, no matter how his surroundings or some of the details have changed. As issues with treatment of black people by police are so firmly on peoples’ minds in recent years, it’s a lot of the story here, just as it is on the television show that started airing this week (and while I don’t think the show’s perfect, and it ultimately does a different thing than this comic does, it should still be said that I am really excited that there’s actually a live-action Black Lightning television show). The handling of it isn’t ideal here, but I feel like Tony does his best, and with the best of intentions, on a tough subject for a mainstream super-hero book to cover. This isn’t genre-redefining stuff, don’t get me wrong (and I don’t need everything I read to reinvent the wheel, either; I’ve read and enjoyed a lot of Captain America and Catwoman in my day, both of whom ran in place for decades at a time on occasion), and it has its moments of awkwardness because both the lead character and the writer wrestle a bit with the subject matter, but for someone who’s been with a character for probably over 40 years now, it’s good to have my old friend, who still sounds like my old friend, around in any capacity. It’s a few issues in now, but for better or worse, it probably won’t be too much trouble to track down, even with the TV show having launched. If you report back to me that you can’t find it, I’ll be pleasantly surprised, and you can grab the trade when it comes out.